AT the turn of the millennium, the Disney Channel released Smart House, the greatest installment in its made-for-TV “Original Movie” series. The titular house is smart because it comes equipped with cheerful, feminine, Personal Automated Technology, or as she is fondly called, PAT. For a while, everything goes great: PAT collects the family’s conversational and biological data, in order to monitor their health and helpfully anticipate their desires. But PAT’s attempts to maximize family happiness soon transform from simple assistive behaviors into dictatorial commands. Worried about the possibility that his dad will replace his deceased mom with another woman, the family’s nerdy son secretly tinkers with PAT’s algorithms to teach her how to be his new mom. PAT studies videos of 1950s housewives and patterns her behavior after them—nagging, judging, shrewing, and other stereotypes of feminine-coded care work. Showing kids a crude allegory for the “nanny state,” PAT takes her “mother knows best” logic to its extreme when she puts the entire family under lockdown. This duality has come to dominate many of today’s anxieties about ambiently intelligent homes. Nearly two decades after the Y2K that never was, PAT-like systems have become a reality. The difference is that they look less like Lucille Ball holograms and more like Apple TVs and, soon, Apple Homes. Smart lady assistants like Apple’s Siri and Amazon’s Alexa are just the beginning. 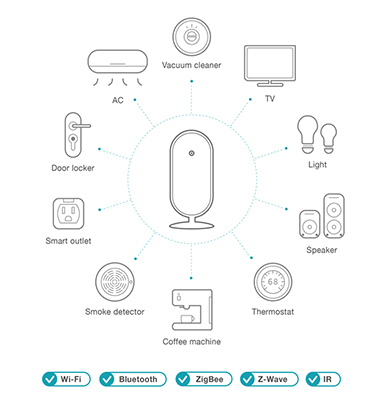 In the long run, players like Apple, Cisco, GE, and Google hope to hook up all of the mundane, mute objects in your home—your toaster, your toothbrush, your bed—to the Internet. These networked appliances are widely called, with anticipation, the Internet of Things. No wonder fears about these troves of eavesdropping, twittering things inhabiting every nook and cranny of our lives are common. 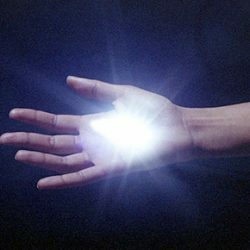 The more digital devices you have, the more they run your life; the more they all speak, listen, and depend on each other to do so, the more likely you are to experience a total PAT-like meltdown—caused by either an attack from the outside or, as the more psychoanalytic strain of conspiracy goes, from within. From hacking into cars to Apple’s ability to access your health data, privacy and security violations of “smart” things already have become routine, almost expected, occurrences. But while privacy concerns are no doubt immanent to all current and future Cloud-ready devices, this criticism often overshadows another problem: the contemporary smart house, as embodied by the Internet of Things, is not an equal opportunity employee or, for that matter, employer. In other words, the smart home’s users, like unhappy patriarchal families, are not all alike. An even simpler nightmare lies beneath Smart House’s techno-dystopia: the familiar story of a man-child who, to avoid the horror and shame of performing household work, programs a woman to do it for him. It doesn’t make a difference to this narrative whether this woman is seen as a robot, a computer, or is, in fact, a robot pretending to be a woman. The trouble is that her programmer doesn’t think about redistributing, reinventing, or reworking the conditions of domestic labor. Despite being one of the most persistent narratives about the future, the smart house is the story of what happens when we fail to reimagine social relations. FROM air conditioning systems in office buildings to the omission of menstrual-tracking in Apple’s first HealthKit, able-bodied male metrics continue to dictate the standards for user experiences. The smart house, too, has been designed with this man in mind as the measure of all things. Intelligent homes have been continually marketed as sites of conservative and traditional leisure: a man drinks a cold beer proffered by his smart fridge, while a woman cooks recipes suggested to her by her smart stove. Sometimes, the woman even gets to “have it all,” eyeing her kids in the living room while telecommuting from her home office. 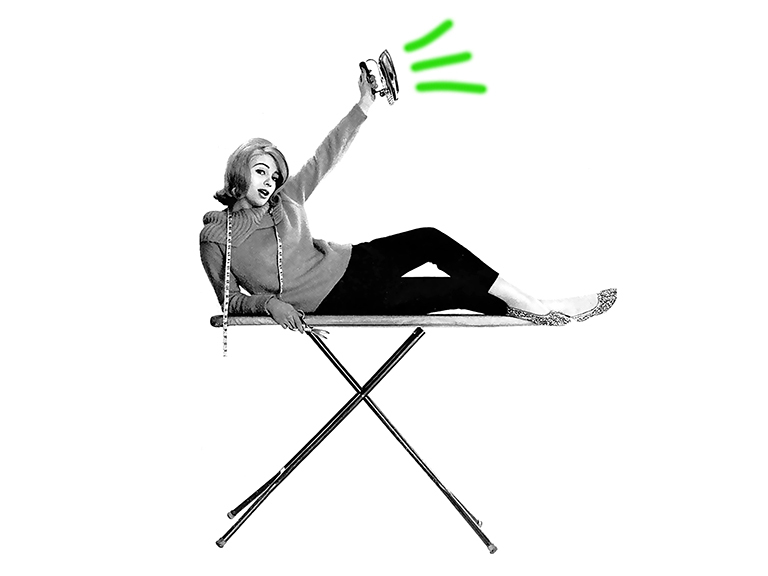 The same year that Smart House was released, the sociologist Anne-Jorun Berg noted that despite “integration, centralized control and regulation of all functions in the home” envisioned for the twenty-first century smart house, “housework is not part of what this house will ‘do’ for you.” As an analysis by the researcher Yolande Strengers confirmed last year, advertisements for smart homes published in the last decade rarely mentioned domestic labor like cooking, cleaning, laundering, or childcare. Three decades earlier, the historian Ruth Schwartz Cowan was frustrated by a similar question. Writing about the piecemeal industrialization of domestic technology, she asked, “If we can put a man on the moon, why have we been unable to pipe our garbage disposals into our compost heaps?” In her classic history More Work for Mother, Cowan demonstrated how, instead of reducing traditional “women’s work,” many so-called “labor-saving” technologies redirected and even augmented it. Across the nineteenth century, industrialization eliminated men’s domestic work while it maintained, reorganized, or increased the work left to women. Although gendered chores like cloth and candle making disappeared completely, they were replaced by other time-consuming tasks and tools. New cast-iron hearths called for longer cooking times, tying women even more closely to their stoves (and private spheres). So long as domestic servants worked for low wages and wives and daughters worked for free, it was cheaper to increase their productivity than to centralize their tools of production. The irony crucial to Cowan’s analysis is that even in the twentieth century, new household tools continued to produce more tasks: more childcare, more complicated recipes, more surfaces to clean, more clothes to launder, more time spent driving, waiting, multitasking, caring, parenting. The Bendix washing machine may have promised to “automatically give you time to do those things that you want to do,” but it also raised the bar for how clean clothes should look. Early visions for the digitized smart house were plagued by a similar irony. Classic advertisements for the Kitchen Computer, first sold by Honeywell in 1969, tempted, “If she can only cook as well as the Honeywell can compute.” Addressed to husbands, the machine was envisioned to help their wives with bookkeeping and cooking. The problem, of course, was that the top-down tool was designed by men who had no clue how their users—women—actually worked. The Kitchen Computer ended up requiring so much programming work that it was virtually useless. It also required teletype, a paper tape reader, and the kind of physical space than most kitchens lacked. Even if women had learned to program the hulking, hundred-pound machine—a two-week programming course was optimistically included in the $10,600 price—they would have been punished with more work than before: they wouldn’t just have to cook each recipe, but to laboriously code it into a ludicrous cross-referenced database. Unsurprisingly, the Kitchen Computer was a failure. But the fantasy that sustained it—replacing unhappy housewives with happy robots—has never disappeared. Alexa, Siri, Ivee, and PAT have been designed as frictionless laborers who can perform domestic and secretarial labor with grace, pleasantries, and ease. Put simply, as a 1967 ad for an automated accounting system did, these workers “can’t quit, forget or get pregnant.” They also can’t file for divorce. Hovering over each of these technologies is a familiar figure: a male manager who concerns himself with implementing new tools to guide his house into the modern era. But absent from his utopic plans is a vision to transform domestic labor. The industrialization of the house has long involved a series of business decisions over which homeowners have had little control—and those performing the housework even less so. After all, it’s likely the smart home will not be built from scratch, but retrofitted to existing infrastructure. 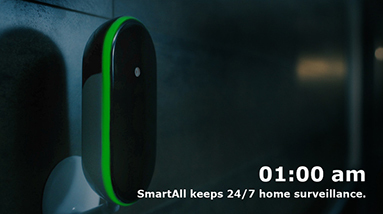 The smart house, in this sense, is a clever fiction. “Industry people today don’t actually want the home of the future,” critic Bruce Sterling explains in his invective against the Internet of Things. “They don’t care what the shape of the house is, they just want the data flows in and out.” In the eyes of companies like Cisco and Apple, your material living conditions could be dangerous, shoddy—so twentieth century!—so long as their networked devices were synced and uploading data and metrics to the same cloud. Besides surveillance and advertising, the aim of all of this data is to change your behavior, or, in the words of legal scholar Cass Sunstein, to ‘nudge’ you. 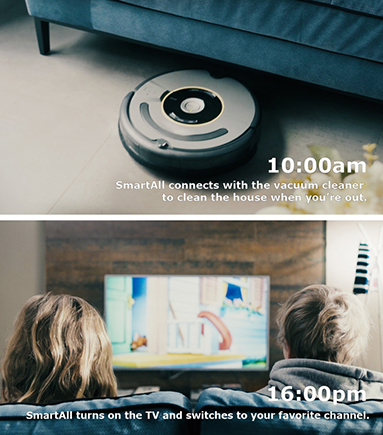 What’s new about the smart house is not that it will usher in a laborless world, but that our housework will also consist of producing data. Driving, washing, aspects of cooking and care work will be augmented—and in some cases supplanted—by time spent measuring. Many of our household technologies and utilities were once built with the assumption that women would operate them for free. Today, they are designed with the assumption that we will freely proffer information about our activities in exchange for the semi-automated operation of our households and our selves. But the imperatives, incentives, and patterns suggested by the Internet of Things’s measurements are not neutral. Architect and enfant terrible Rem Koolhaas has ominously warned, “Very soon your house will betray you,” but your house will likely betray some of its members more than others. Intelligent objects will create more household work particularly for parents, which is to say, for traditionally feminized and racialized care workers. As childhood becomes increasingly quantified and measurable, “results-oriented” outcomes will become the focus not just in high-stakes testing, but in sleep, social interactions, and softball. Smart mattresses will tell you how well your precious child has slept, while smart utensils will count their calories so you don’t have to. Neither will address the question of whether these metrics are useful in the first place. Just as women’s magazines pressured wives to make their faces and surfaces more spotless, the collection of ever more precise standards of childhood achievement, linked to social media, will create new standards and objectives for caring for children. The numbers will make it even easier to compete—and to blame. Shame on you for forgetting to count baby’s first steps, even if you don’t know why you’re counting them. This numerology is largely useless because it’s supposed to be. Just as kitchen computers were not actually designed with household workers in mind, the aim of scraping the data off of every mundane human activity—from toasting bread to brushing teeth—is not to lovingly “sense” how you like your toast, or to make your life easier. The point is to make your life more profitable by collecting your behaviors—and transforming your patterns of production and consumption into profit, too. Today’s poster child of smart technologies is the Nest thermostat. Recently acquired by Google, the Nest costs four times as much as a dumb thermostat, but it promises eventual savings in the form of a reduced energy bill. When Koolhaas interviewed the CEO of Nest, he commented that there was a short distance between a thermostat that adjusts your heat and one that decides you must go to sleep because you’ve used enough energy for one day. It’s clear you’ll be working for your house, but who is your house working for? Is Nest’s automatic-scheduled climate control suitable for a retail worker whose schedule is unpredictable? 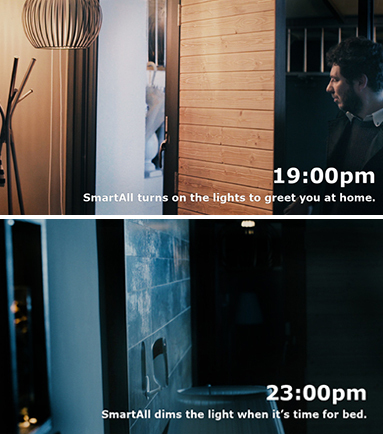 Will your smart house call the police if it catches someone breaking into your biometric-door? Or if it overhears spousal abuse? What if you never want to call the police? Will there an app for that, too? What if it’s not legally your house by deed, but your landlord’s or “host’s”? The possibilities for betrayal are endless. WHEN Cowan published More Work for Mother in 1983, she considered what an actual smart house could have looked like. Patterns of household work, spending, and waste would have been greatly altered for the better, she explains, with the mass production and adoption of gas refrigerators, central vacuuming, family incinerators, fireless cookers, and waterless toilets. Families lacked these technologies not because they were worse or more technologically complex, but because there was less of an economic and cultural incentive to produce and sell them. This didn’t have to be the case. If women’s labor had been industrialized, commercialized, and commodified in the 19th century we might have ended up with “electronic looms in every kitchen and communal nurseries in which children of our female physicians could be cared for and reared.” In the early twentieth century, alternative living communities even patented technologies to centralize household labor, including cradles designed to rock half a dozen children at a time. This soon might change, if not for cultural reasons, then for economic ones. Houses are no longer affordable. The nuclear family as an institution is already on the decline. In New York City alone, nearly a third of residents (not just millennials) live as “single households”—which is to say, outside of traditional heterosexual family structures. 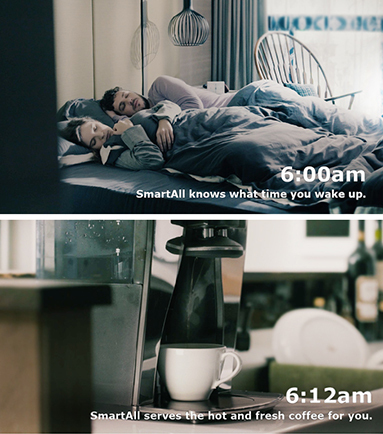 It might be better, then, to speak of the smart house as an Ikea-furnished AirBnB or as a co-living space. Or as a wooden box in someone’s living room that you can rent on a week-to-week basis in the Mission district. Why not a truck parked at Google’s campus? Despite what you've heard, not every kid gets a trophy. But why not?